Dow Consumer Solutions, a global leader in silicones, silicon-based technology and innovation, introduced the new DowSil EA-7100 Adhesive, a breakthrough silicone chemistry that greatly expands design options for automotive electronics by enabling strong bonds to a wide variety of substrates. This one-part, heat-cure adhesive also cures rapidly and at lower temperatures from the “inside out” to greatly accelerate processing, lower energy use and reduce material costs. Notably, new EA-7100 Adhesive forms strong bonds to metals, ceramics, glass and laminates, as well as plastics that have typically presented challenges for conventional silicone, such as polyethylene, polycarbonate and acetal. Depending on application, the material can often bond to these substrates without requiring pre-treatment or extensive cleaning. This unique property, combined with the material’s low voiding and durable adhesion, enables automotive manufacturers to design components using an expanded range of more cost-effective materials. EA-7100 Adhesive’s radical new chemistry allows up to 50 percent faster cure time than conventional heat-cure platinum catalyzed silicone adhesive systems. Depending on application and processing parameters, it may even achieve higher performance. In a typical lid seal design, for example, a standard one-part addition-cure adhesive generally takes 60 minutes to cure at 125°C. 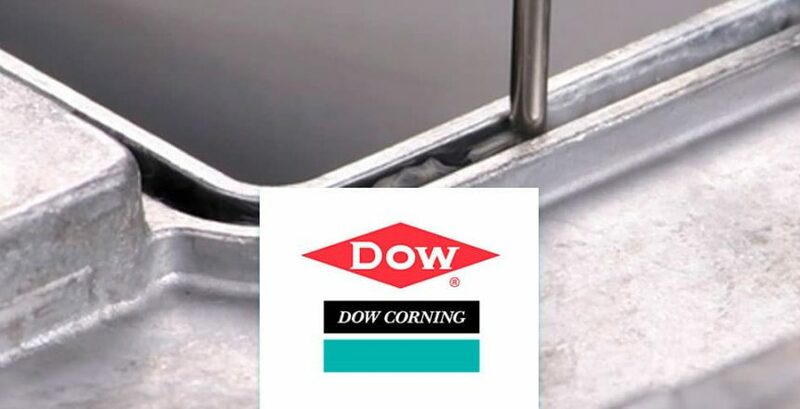 By contrast, DowSil EA-7100 Adhesive achieves full cure within 15 minutes at 100°C. In select applications, cohesive adhesion may begin within three minutes. Heat can accelerate the cure time for EA-7100 Adhesive, although the material’s advanced chemistry allows the use of smaller, lower temperature ovens that consume less energy and help further lower the total cost of ownership. The material can be dispensed using conventional equipment. EA-7100 Adhesive has been tested and qualified by leading tier customers worldwide. It is available globally from DowSil and its distributors.